Being a parent of a teenager can be very challenging, distressing, and sometimes worrying. Many teenagers tend to push against the system in an attempt to gain a sense of independence; making parents feel criticized, rejected and confused. This can cause many problems within the family as emotions are high and there is a constant power struggle between the teenager and parents. It is very important for parents to understand what is going on inside the mind and the body of the teenager. The average teenager’s body transforms at an alarming rate. This is, by the way, one of the main reasons why they sleep a lot. As their hormones move and surge, both the brain and the body respond in a different way. For instance, these hormones cause their emotions to go on a rollercoaster ride – this is why they have so many mood swings. Boys for instance, have to deal with a sharp surge of testosterone in their bodies while girls endure high estrogen levels. Hormones however, are only a small part of the entire story. Keeping these biological changes in mind, it is very important for parents to be understanding and supportive during these critical times. Here are some tips for you to better cope with your teenager. Be there for them – Contrary to what it seems, your child does want you to be there for them. Just give them a little time and let them handle the situation at their own pace. Reassure them – Many teenagers easily get scared by all the transformation that takes place including physical and biological. It is very important that you reassure them from time to time that everything is perfectly normal and that they have nothing to worry about. Be consistent with discipline – According to research, consistent boundaries that respect a teenager’s limits are the best way to provide them a sense of security whilst they are handling their inner turmoil. Be approving and supportive – A number of studies have confirmed that both girls and boys have a high level of self-esteem in their adolescence if they believe they have the approval and support of their family. Be patient – Patience is key to solving such problems. Parents have to be patient with the random outbursts of their teenagers and the mood swings. Impatient parents only make matters worse for themselves and their children. 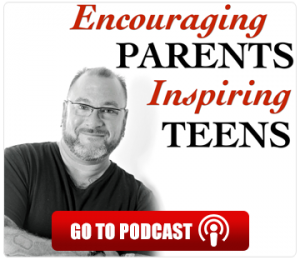 Be honest – Being supportive for your teenager does not mean that you sacrifice your own emotions and life. There will be times when you yourself will be feeling low. Be honest and upfront and tell your teenager how you feel. This will tell them that it is perfectly fine not to be perfect. Be hopeful – Give your teenager hope that everything will pass and things will turn to be just fine. Hope goes a long way in encouraging them to cope with their mental and physical changes.